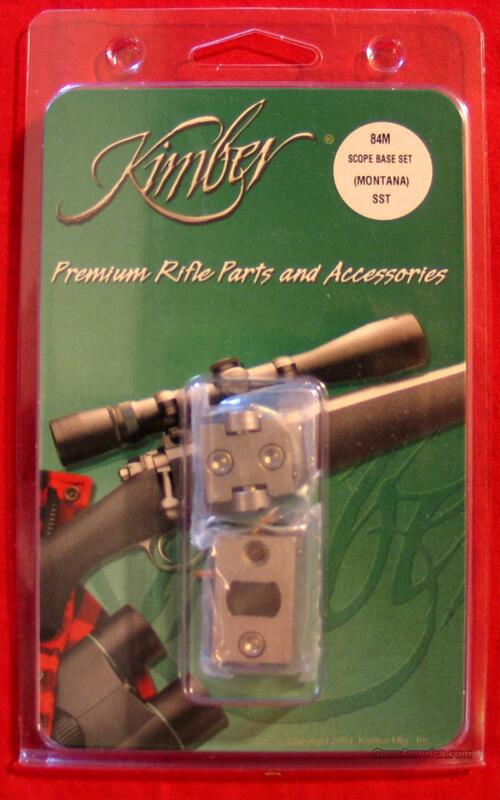 Kimber of America 84M Stainless Steel rifle scope base set, for Kimber of America 84M and 84L (mainly Montana) rifles. NOT for Kimber of Oregon rifles. 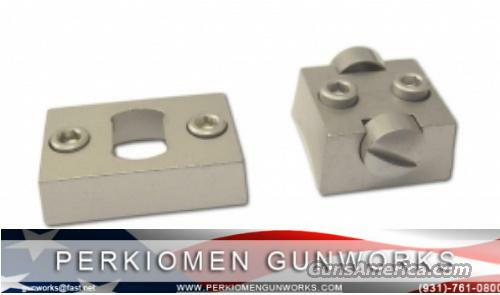 +S&H of $7.00 Kimber item # 1100142 To pay on line - go to perkiomengunworks.com - find item - put in your cart and check-out. All transactions will be charged a 3% maintenance fee added after check-out. We will receive notice of your payment automatically. OR: To pay via mail with NO extra fees – email us and follow these directions: To commit to item we need your full name, address and phone #. This will only be used to hold item until your payment arrives. Will confirm back sale if you are the FIRST we hear from with this information. We offer 3-day inspection but Layaway payments, Special Order deposits, S&H and Credit Card fees are Non-Refundable. We have a 10% return fee if item is as ad states and you wish to return anyway. Copyright 2018, All rights Reserved. Powered by GunsAmerica Dealer Services.